Wasting a phone scammer's time – best fun in ages.. Damn right I had a seriously long laugh today at somebody else’s expense…. Ok – i should probably just qualify that statement before i get stoned. Author csharpzealotPosted on February 16, 2011 April 20, 2011 Categories Personal1 Comment on Wasting a phone scammer's time – best fun in ages.. It pays the bills…but is that enough? I’m sure many industries today requires you to have some level of enthusiasm for what you do, but how often don’t you hear a buddy of yours complain about their job…They don’t love what they do and if asked “Why do you do it then?” the answer is most of the time “It pays the bills, why else?”. I know it’s bad to label people, but sometimes you have to and i have two labels that i apply to people within the IT&T industry. Now, this label, doesn’t have anything to do with being a good or bad employee – all companies needs an equal share of both. We all know them – they’re good at what they do, they’re here on time and leave on time. They get by purely by being there and putting their heads down for the required hours. They know their jobs and their worth. In most cases you’d be hard pressed to see this person listen to a podcast or use a book on programming for anything but a reference manual. These are the geeks of the office – you know them – sure you do – they don’t stop talking shop and are constantly preaching about this latest beta, or that gadget. They are the ones that stay up late because there’s this product launch being streamed online at 2am. You always find it hard to keep up with them because they seem oblivious to their surroundings and their heads spin at 7500rpm and above. So, these labels have designated roles within a team – The “Job” guys are there to see the project develops steadily, according to plan – you know, the On Time and On Budget guys. No risk taking here. If you have a whole team of these individuals, you’d quickly see the risk factor lower..well, because they don’t take any chances. Why should they, it’s not their job to take chances. The “Career” guys are constantly wanting to play with the latest and greatest new release and most often willing to take a chance. Which label are then the best employee type to have? Frankly, you don’t want to have only one or the other. What you need is a healthy balance. The “Job” guys are your worker ants so to speak – they carry the most of the team along at a steady pace BUT they are not innovators. They’ll happily stick with VB6 for the rest of their lives..simply because it “Pays the bills”. The “Career” guys are more often than not pushing the boundaries and driving innovation in your team. So when do you have to make your choice of which “Label” you want to wear? early…yes, very, very early. With technology as rampant as it is today, it really isn’t hard to loose track of what’s out there, what’s new and what’s coming soon. I generally advise the graduates to consider what they want to do and put their expectations alongside the “Label” they’re looking to wear. Because honestly, you’re not going to be a Snr. Developer in 4 years time if you don’t apply yourself. Here I come to my own “Label” – I’m a “Career” person – no, not the one walking around with circular saws on their elbows, nudging every man, dog and cart out of the way because i’m on the floor. I literally love what I do and I invest a large amount of my own time to what is needed – Professional Development. Where’s my frustration with the “Job” guys? yes, you figured right, it’s extremely frustrating when people around you are lacking enthusiasm. Expectations has to be realistic here – you see your friends achieve more than you because you’re busy with other stuff and can’t really be bothered to put your head into a book or trying out this or that beta release. Yet you still expect that $10,000 payrise every year. It’s simply not fair to you that you don’t get the same opportunities as those “Career” guys. They’re just sucking up all the time. What are my expectations – well, I expect to be paid appropriately but more important to me is that I honestly love going in to work. The day I don’t have that spring in my step is the day I need to look at other opportunities. Fact is, you spend the majority of your waking hours at work – why should you not love what you do? I’d say it’s a waste of life. So, if you have goals and aspirations of being a mover and shaker, think early about what you want to do – don’t sit with a thumb up your @#$ and expect things to be handed to you on a silver plate because it’s a big, big mean world out there. 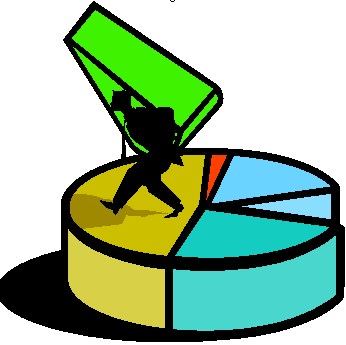 You need to help yourself and to do that you need to invest. When you hear people moan about “I got no training this last 6 months” you have to wonder what they did themselves to advance their own professional development? I get severely frustrated when i hit that wall with people. Thinking that it’s the employers sole responsibility to make sure you get training? seriously, that’s 10% of the total investment that you should be doing into yourself. The other 90% is your responsibility – don’t forget looking at those blogs, articles, ctp/beta releases, podcasts/webcasts et al is an investment into yourself – does the company gain from it? of course it does, but who benefits the most? yes, yourself of course. So, get involved guys…get that finger out and start investing into yourself because we know that just paying the bills are no longer enough. So far there’s 15 confirmed fatal casualties, with 61 people still unaccounted for, from the Queensland floods this week and 75% of Queensland has been declared a natural disaster area. We already have federal and corporate support and thousands of private residents has either generously donated their time or their financial support. Financial support for the flood victims has raised $54,636,576 as of the 14th of January 10am. Microsoft put the call out for businesses in need of disaster storage for their data earlier this week. 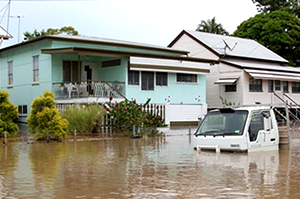 Parts of the Australian MVP community has also come together to offer their services to businesses affected by the floods – Queensland IT Flood Relief Program. or anything else IT related that you can come up with – all help is gratefully apprecitated. The guys also need hands on deck to help assemble the computers et al. Please link to this blog post, the QLD IT Flood Relief Program (http://www.qlditrelief.org/) and help spread the word (twitter is a good start – nudge nudge wink wink). Please note that the QLD IT Flood Relief cannot accept financial donations – please donate directly to the QLD Flood Relief Fund instead. Update: The community is already getting behind this initiative – a very good friend of mine, Mike Hopgood, is already helping organise things from Brisbane (He’s a local IT Pro guy). Thanks Mike! Appreciate your support! Microsoft offering disaster storage solution for businesses in Brisbane affected by the flood. Over the recent week, business and residents in the Brisbane area has been hit by a massive flood – this has seen 10 people lose their lives already (of those 10, 5 were children) – and everybody are putting in their bit to help where they can. Catherine Eibner came up with an idea to help out the businesses in Brisbane which were not only being hit hard now, but are likely to be hit even harder once business starts up again. One of the things that is of the upmost importance to their business is data..pure and simple..and not every business out there are capable of having a fully redundant enterprise storage solution available to them. Maybe they’re not even hosting their own data, but are relying on service providers in Brisbane to store their data. Since it’s highly likely that data centres will be hit just as massively (100,000 homes were scheduled to loose power, for how long nobody knows) when the power outages are coming, chances are (however slim, do you really want to risk it?) that they may also be affected. So, the solution Catherine came up with was to provide Brisbane businesses temporary storage on the Windows Azure platform – for free!!! One effort where we’re hoping to enlist your support is in helping small/medium businesses back up their data (server loss could be catastrophic for a small business). I know when I had my business, I didn’t have the data redundancies in place to cope with something of this magnitude. Hopefully – in using the infrastructure that Microsoft has available, we can help prevent this for some of the businesses effected by the floods. For more information about this offering, please read through Catherine’s blog post: http://blogs.msdn.com/b/ceibner/archive/2011/01/13/azure-disaster-recovery-storage-offered-for-brisbane-businesses.aspx. You know those famous last words? Well, are you or your clients prepared to risk it? Big thanks to Catherine Eibner, Microsoft and those involved with making this offer available..
Wow – i knew 2011 was going to be a cool year and already in January we’ll be seeing a few cool things released by the ASP.Net team! Both WebMatrix, ASP.Net MVC 3 and NuGet are being launched on the 13th of January, 2011 – all will be revealed in full at CodeMash and you can see the live stream (probably using that awesome Silverlight stuff again eh!). And of course, this is good news because CodeMash sold out back in October already! The stream starts at 12:30pm EST….now, i wont say i’m jealous…ok, i am..more than 100 sessions of pure geeky developer goodness! what would it take to get something like that running in Australia i wonder? Needless to say, the guys behind CodeMash has done a phenomenal job at getting this organised! Hats off for you fellas! http://vs2010wallpapers.com – there’s tons of awesome community content/submissions there if you want to bling your desktop with some cool Visual Studio 2010 wallpapers. you can also find links to VS2010 logos, Visual Studio 2010 colour schemes or simply submit your own blinged up creation. Yesterday i got the news from our dear MSMVPS.Com admin that we could migrate our blog from Community Server to WordPress and so i decided to take the step. it’s a new year and i now have a new home! I’ll be migrating quite a few of my older blog posts across from CS to WP.. This also means that i’ll be blogging a lot more – community (LIDNUG) work has kept me insanely busy the last 6 months seeing as we’ve grown past 41,000 members. We’ve stabilised quite nicely and i’m sure i’ll be having more time on my hands.